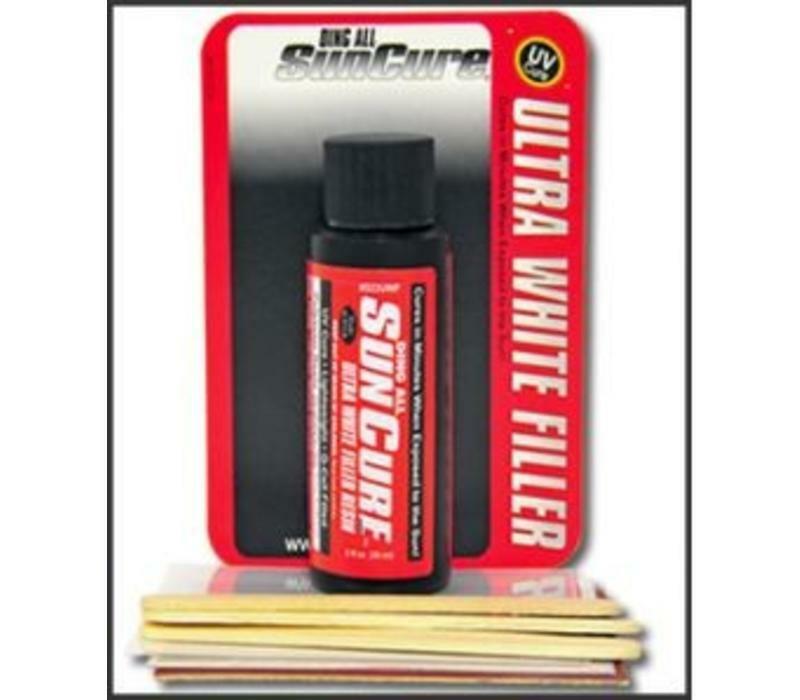 Sun Cure Ultra White Filler Resin is composed of polyester resin pre-mixed with white Q-cell (also called micro-balloons) filler and is designed to fill holes and voids. Filler dries white, sands easily, and is ideal for touch-ups and small repairs. Prep and fill the repair in the shade then move the board into sunlight. A faster method for filling all types of dings, especially larger voids where foam needs to be replaced. 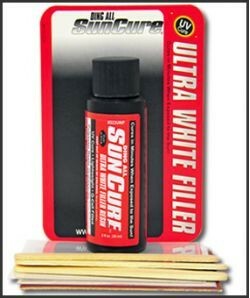 Sun Cure Ultra White Filler resin is used straight from the tube, no mixing or adding q-cell needed. Our proven formula is very UV stable and provides a permanent repair. Cures within 5 minutes then is ready for easy sanding. Kit contains 2oz. SC polyester White Filler resin, 2 grit sandpad, applicators, coversheets, instructions. Not for use with epoxy surfboards.